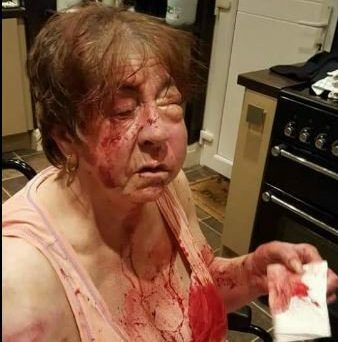 Barbara Dransfield, who has a prosthetic leg and uses a wheelchair, suffered horrific injuries when Nathan Clark and Stephen Mortin broke into her house in Ashton-under-Lyne, Greater Manchester. The gangsters had been looking for the 64-year-old’s son Daniel, 30, who owed them £100 for cannabis. 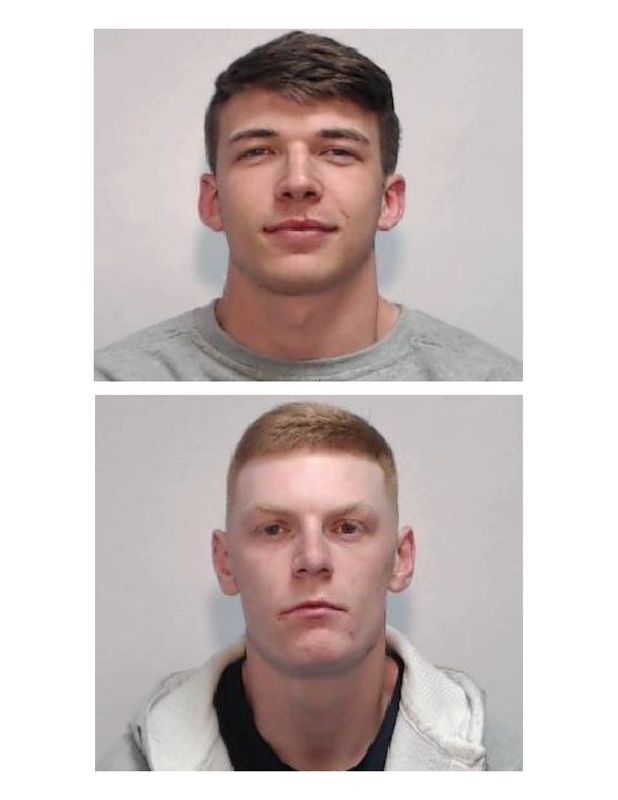 Clark, 24, admitted conspiracy to rob and grievous bodily harm and was jailed for 19 years, while Mortin, 23, was convicted of the same offences after a trial and sentenced to 18 years. Mrs Dransfield, whose injuries are still healing nearly a year on from the attack last July, sobbed as she spoke out about the incident following the court hearing. She said: ‘That’s all they wanted, money, money, money. I kept saying I’ve got none but I was hit again and again. ‘The smaller one was baseball batting me and the other one threatened to slash me if I didn’t give him money because that’s all they were asking for, money. She suffered a fractured skull, and her attackers added insult to injury when they made off with fishing tackle and a small amount of money. Vanessa Thompson, defending Mortin, said he regrets what happened that night, while Jamie Hamilton, for Clark, said he suffered with ADHD and left school with few qualifications. Judge Stuart Driver QC said: ‘Barbara Dransfield was 64 years old, in her own home late at night, sitting in her wheel chair with one leg, she was helpless. ‘One of you smashed her in the face with a wooden bat and did again several times. The other threatened her saying that if she didn’t hand over the money that you would slash her – this was whilst you were carrying a large kitchen knife. A third man, Liam O’Shaughnessy, 29 was acquitted of conspiracy to commit robbery.